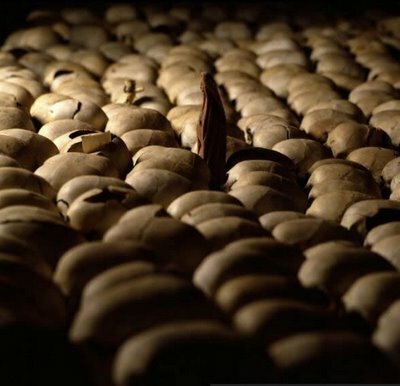 I started reading today, on the recommendation of my friend and colleague David, Roméo Dallaire's account of the Rwandan genocide--Shake Hands with the Devil: The Failure of Humanity in Rwanda. Dallaire was the commander of the UN peacekeepers during the 100 days when 800,000 Rwandans were murdered, one of the quickest and most efficient genocides in history. This after the civilized world had looked at Auschwitz and collectively promised, "Never again." Much of Dallaire's book is an indictment of the UN and the nations on the Security Council, the United States among them, and their failure to act. More, their failure to even care. We will recommend to our government not to intervene as the risks are high and all that is here are humans. An excellent follow-up to this would be Jason Stearns' Dancing In the Glory of the Monster, about the larger DRC conflicts. Walter Wink has written of "redeeming the powers." I think each believer within a community can do this one person at a time. It is risky and sometimes tragic because each of us even in our best moments may--inadvertently, unawares--shake hands with the devil. We can be damned if we do and damned if we don't. So let us redeem and plead for mercy. Yes. It's a mess. I've no answers. I read books like this so that any internal debate I have been, say, a Yoder and Niebuhr, is grounded in the real world. I have little tolerance for debates about pacifism that occur between Mac wielding Christians debating at Starbucks or over microbrews. One of MacDonald’s assertions (in Robert Falconer) that gave me pause for thought recently was that the only necessity was to do good and not to worry about the consequences. Philosophically, I’m with him 100%. One of the psychological theories I espouse exhorts: Start with a clear set of values and purposes, base your strategy on these and the consequences that follow will be the intended ones. So much of what I witness in politics (on a national and local scale) is the opposite: identify a desirable outcome and implement various social control mechanisms to bring it about – usually with quite unintended consequences. On the other hand, what about when the values are in shades of grey, not a convenient black and white? One of the most chilling phrases I heard on a Pat Robertson TV show (yes, they make it over this side of the pond sometimes) was praising then-President Bush Jnr for his ‘moral clarity’ in framing foreign policy decisions in Iraq. Clear values are not necessarily good ones. That last line makes me literally sick to my stomach. words and actions of the bad people but for the appalling silence of the good people. If you haven't read the letter in total it is well worth it and given the news today, quite prescient. Rwanda was a gigantic mess and a failure of humanity on the part of the first world. In the powerful film "Hotel Rwanda, Colonel Oliver said it poignantly: "You're not even niggers. You're Africans." Sadly, that about summarizes why the West did not intervene. Though what happens now in Libya is not comparable, at a recent debate Michelle Bachmann derided intervention in Libya because it serves no national interest (as if Iraq ever did, and as if that is the only litmus test for foreign policy decisions). Depressing. Why was the developed world so apathetic? We just didn't care. This is utterly sickening. I've felt for a long time, that in many ways our nation does too much to support the Principalities and Powers. A missionary from Rwanda spoke at our church back in the summer and said the collective attention of the American press was on the OJ Simpson trial - that was deemed more important than 800,000 people getting killed. For all the good we attempt to do in the world, no body seems concerned with the negative effects of our empire. So the question I have (and I'm still trying to come to terms with) was Obama's pastor, Jeremiah Wright, totally off the mark with that radical sermon we've seen quoted on Fox News and Sean Hannity so many times? With that last line of this post, I have to wonder. Richard, what is new here? We watched as the Jews were marched off, the Cambodians were herded, the Chinese were slaughtered, the Soviets filled their gulags, and on and on and on and on and on. Sadly, humans have slaughtered each other for centuries. What drives us to such a level? I think it is too easy to blame governments, economic systems, etc. What is the human condition that causes people to wipe out entire villages? What makes people cross the line and join in? What makes a people want to deny the event? Why do people not respond as in, say a fire? Where was the moral outrage in all these cases? An aside, I am not surprised at the UN's ineptness at "peace keeping".